The first episode of "Chappelle's Show" delivered the program's most indelible character: Clayton Bigsby, a blind white supremacist who doesn't know he's black. When Bigsby removes his KKK hood at a hate rally, one attendee's head explodes. 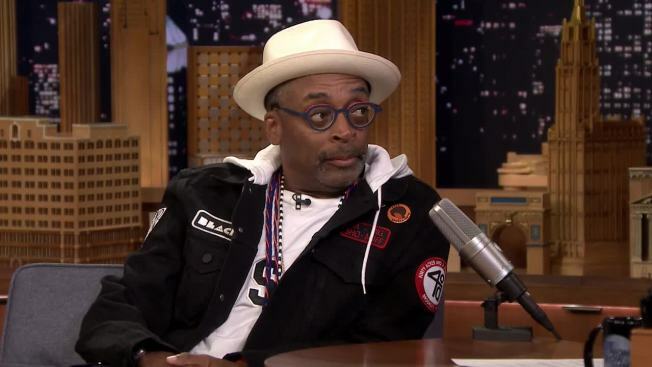 Dave Chappelle's classic 2003 segment comes to mind with the impending release of another mind-blower: Spike Lee's "BlacKkKlansman." The film tells the true story of an African-American cop who infiltrated the KKK in the 1970s. "BlacKkKlansman" arrives Friday as the first anniversary of the deadly white supremacist rally in Charlottesville, Virginia, approaches. The movie also opens at a time when the number of KKK chapters are down while other hate groups are on the rise, according to the Southern Poverty Law Center. That suggests not all cowards feel the need to wear hoods anymore in a country whose fraught past and present are defined by far more than just partisan divisions. Now Lee offers his take on the amazing story, based on retired Colorado cop Ron Stallworth’s memoir. Stallworth (played by John David Washington in the movie) worked the phones, while his Jewish partner Flip Zimmerman (portrayed by Adam Driver) stepped in for face-to-face interactions. Judging from clips, the movie, produced by "Get Out" filmmaker Jordan Peele, doesn’t shy away from humor. Laughter long has proved a strong weapon against hate, from Mel Brooks’ “The Producers” to Chappelle’s Bigsby, who declared, "Just because I'm blind, don't mean I'm dumb!" Chappelle cloaked his searing satire in the sober clothing of a "Frontline" TV documentary. Now it's Lee's turn to tackle an insidious combination of blindness and stupidity and unmask it on the big screen.